NEW YORK -- Two new Tony Award-winners from "Hamilton" - Daveed Diggs and Renée Elise Goldsberry - will soon leave the Broadway company, while producers unveiled the new cast of the show's upcoming Chicago production. Diggs, who plays both the Marquis de Lafayette and Thomas Jefferson, will leave the Broadway show July 15, while Goldsberry, who plays Angelica Schuyler, will leave sometime this fall, her publicist confirmed. The duo will be joining the recently departed creator Lin-Manuel Miranda , Leslie Odom Jr . and Phillipa Soo out the "Hamilton" door. Meanwhile, Broadway veterans Miguel Cervantes, Karen Olivo and Alexander Gemignani were unveiled Wednesday as the next leaders of the cast in Chicago. Cervantes, whose Broadway credits include "If/Then" and "American Idiot," will play Alexander Hamilton this fall when the Chicago production opens. Olivo, who won a Tony playing of Anita in the 2009 Broadway revival of "West Side Story," will portray Angelica Schuyler. Gemignani, who has been in "Violet," Les Miserables" and "Sweeny Todd," will play King George III in the Chicago production. 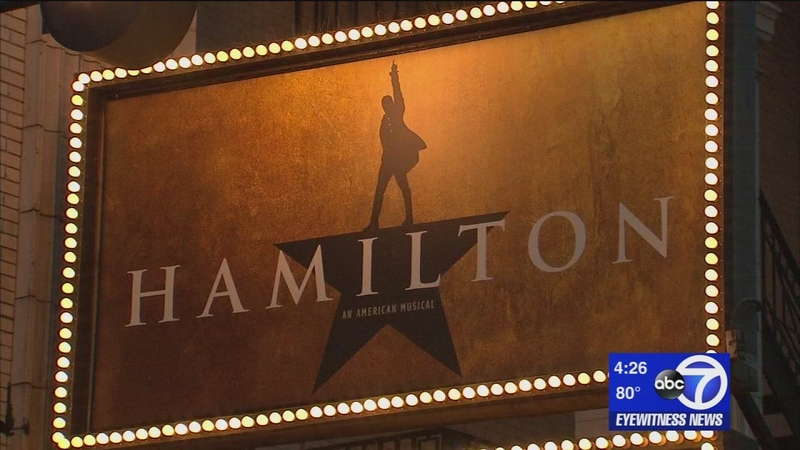 "Hamilton," which won 11 Tony Awards last month, has been praised by politicians and rap stars, influenced the debate over the nation's currency and burst through the Broadway bubble like none other. On Tuesday, the show held a fundraiser for presumptive Democratic presidential nominee Hillary Clinton, with donors paying between $2,700 and $10,000 for a seat, and event chairs contributing $100,000 for a two-seat package and a wrap party. In addition to the Chicago production, a touring production begins a 21-week run in San Francisco in 2017 before moving to Los Angeles. A London production is slated for 2017.